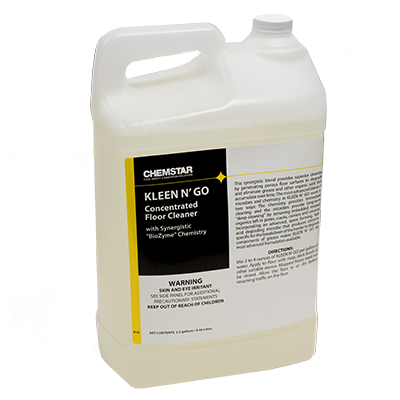 Especially helpful in areas without floor drains, Kleen N Go’s enzymes continue to work even after cleaning is completed. One of our best sellers! 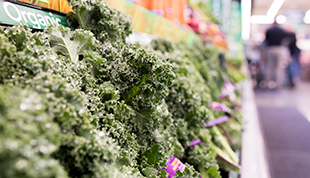 Cleans and destains soiled cutting boards from cutting meats, produce and seafood. A thickened chlorinated product is designed to stick to the areas applied to rather than running off like ordinary bleach will. 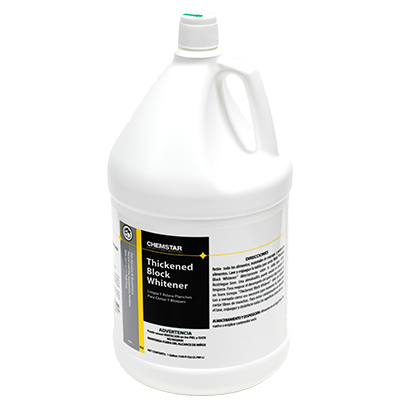 A super product to get your cutting boards and blocks WHITE! 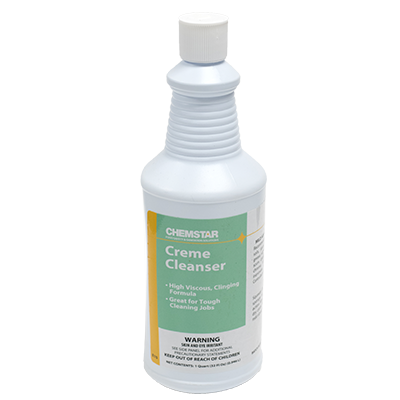 Cream cleanser is a mild abrasive that is designed to remove soap scum, build-up, rust, grease and more. 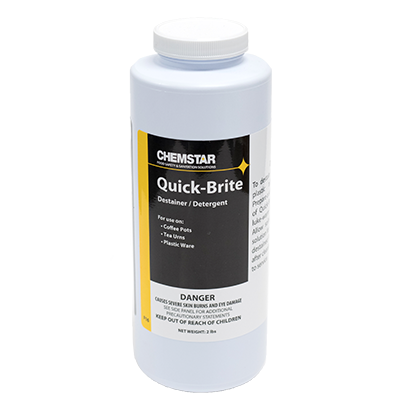 Efficiently cleans without harsh abrasives. MPD Oil is a food grade, white, mineral oil of the highest purity. 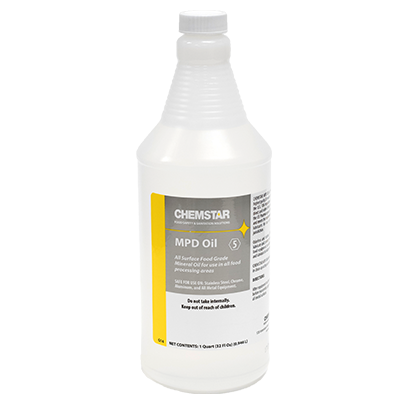 MPD Oil is odorless and tasteless and used to lubricate and protect food equipment. Can also be used as a food release agent. 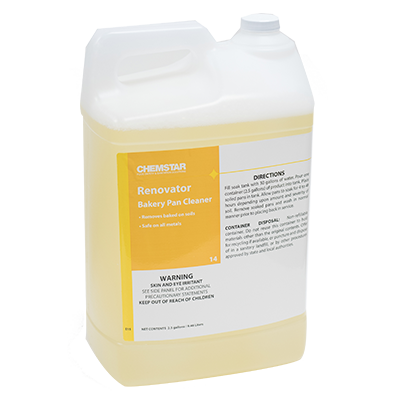 Highly concentrated, this product when mixed with 30 gallons of water in the Renovator Tank will help to clean the carbon build up from Bakery pans that are a part of everyday baking. The long-lasting formulation is designed to only need changing every 30 days, saving you time and money! Highly concentrated product designed to clean the carbon buildup from Bakery pans that are a part of everyday baking. For use on all types of stainless steel window frames, trims, doors, corridor guards, kick plates, autoclaves, dishwashers, refrigerators, freezers, sterilizers, etc. This product is also excellent for chrome! 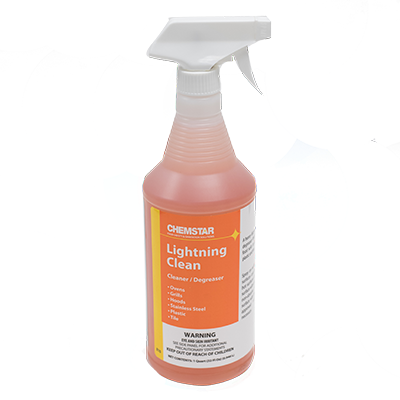 The best ready to use degreaser available today, Lightning Clean is a pleasantly scented, heavy duty degreaser that gets it clean! When applied to greasy, oily, dirty areas it helps break down the dirt and grime for ease of wiping it away. Kosher certified. Designed to clean interior walls, floors and doors of freezers. 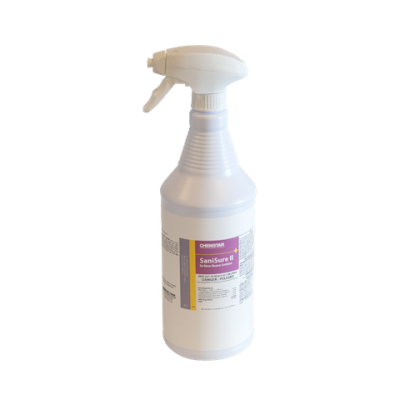 Apply with mops, disposable cloths or low pressure sprayers, this rinse free product will help clean those areas on which regular cleaners freeze. 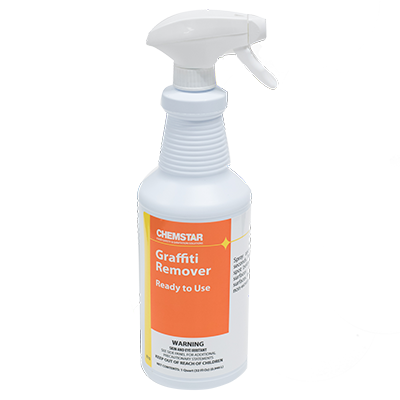 A specially designed product to remove permanent marker from surfaces. 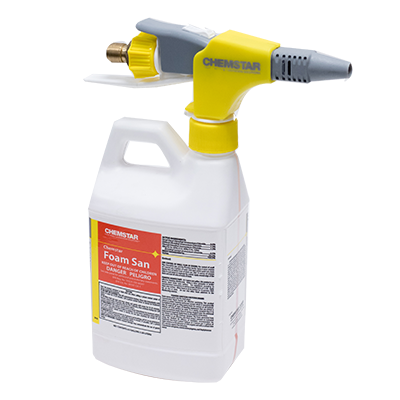 Simply spray and wipe with a cloth or non-woven wipe. 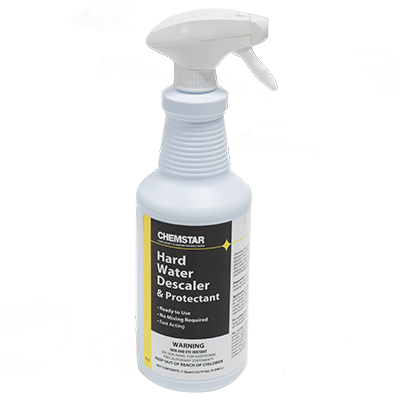 Effectively removes scale and hard water deposits from surfaces. 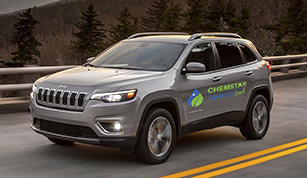 Leaves a protective shield that resists the formation of hard water salts, making future cleaning easier. 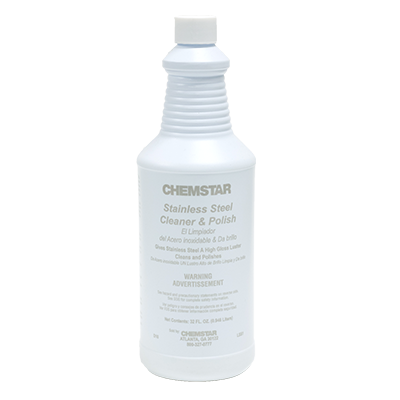 For use on Stainless Steel, Chrome, Plastic and glass. 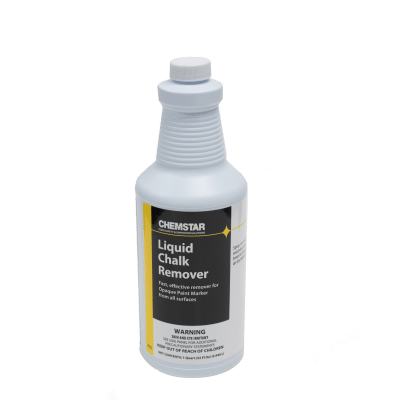 A mild but effective cleaner made to breakdown the oils used in liquid chalk. Easy to use, just a little on a disposable cloth and the old information wipes right away. No scrubbing required! Kosher certified. A specially formulated de-stainer/detergent designed to remove stains and clean coffee pots, tea urns, and plastic utensils. 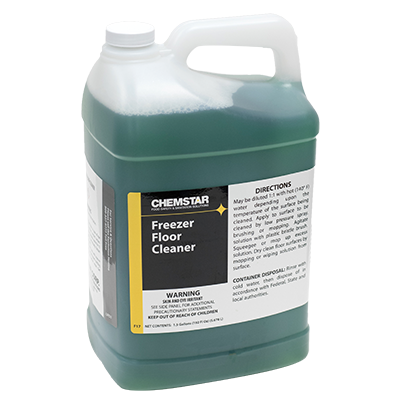 A fast acting non-corrosive cleaner that is effective on all tile floors, walls and tile grout. 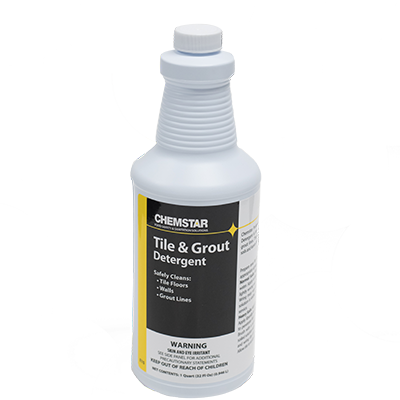 This ready to use product is an excellent cleaner for removing soils and leaves tiles bright and clan. Easy to use formula helps keep these areas clean. 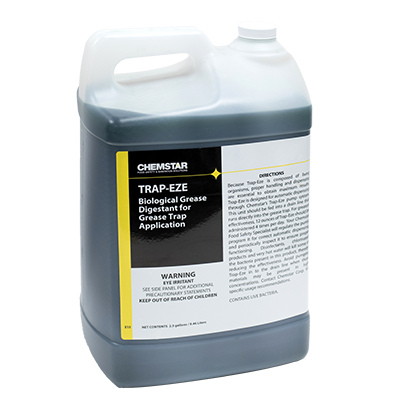 Automatically dispensed to the drain system, Trap-Eze will help keep the drain and grease traps in your store clean. A Biodegradable digestant, it can be used on all pipes. We provide the timed pump to dispense a measured amount in to the drain and the product does the rest. All you need to do is make sure product stays hooked up! Kosher certified.